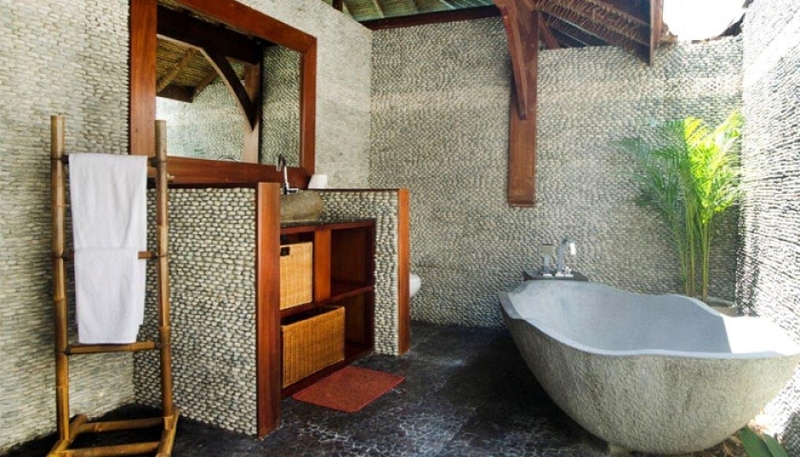 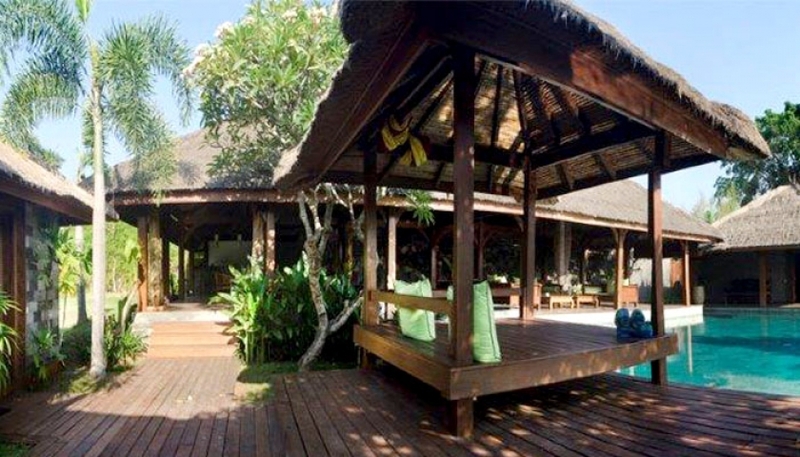 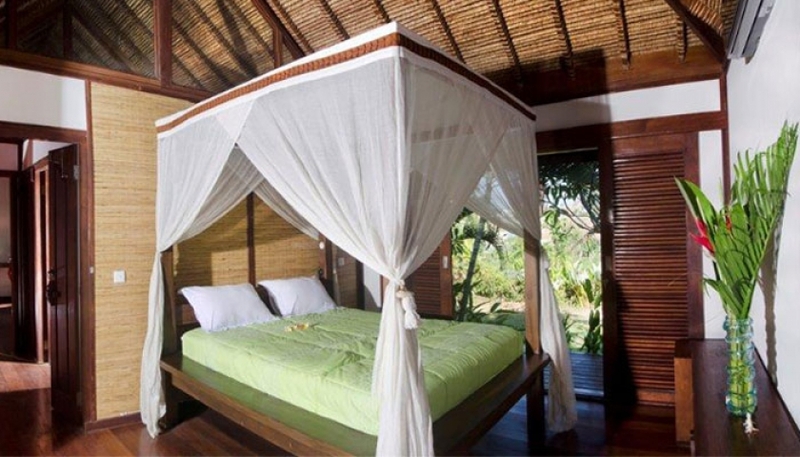 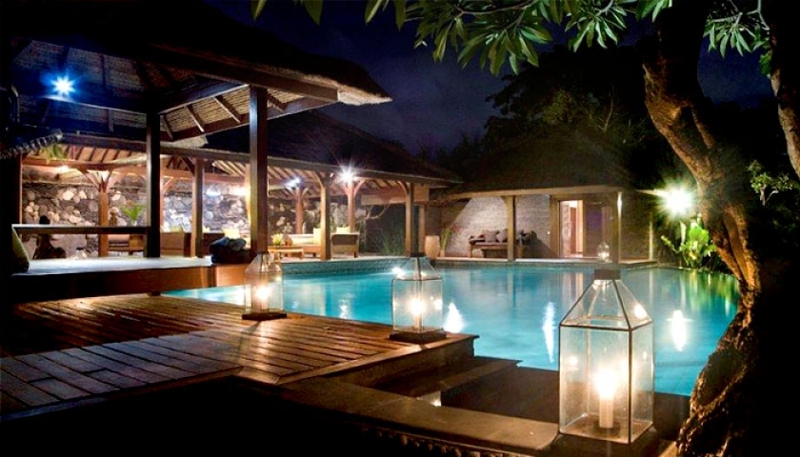 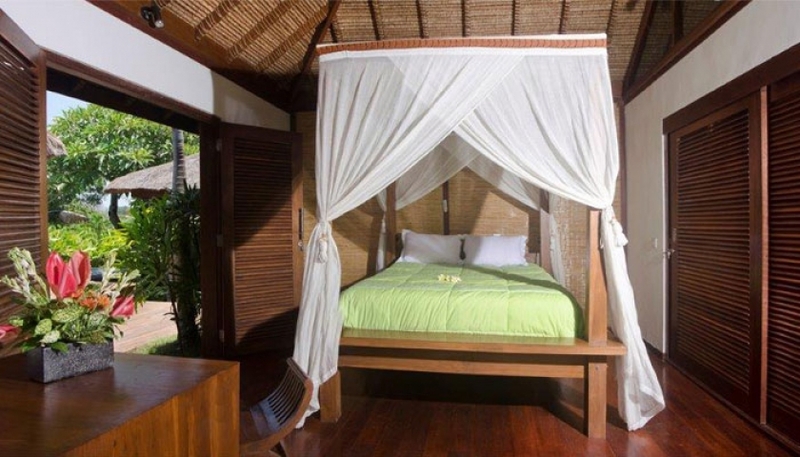 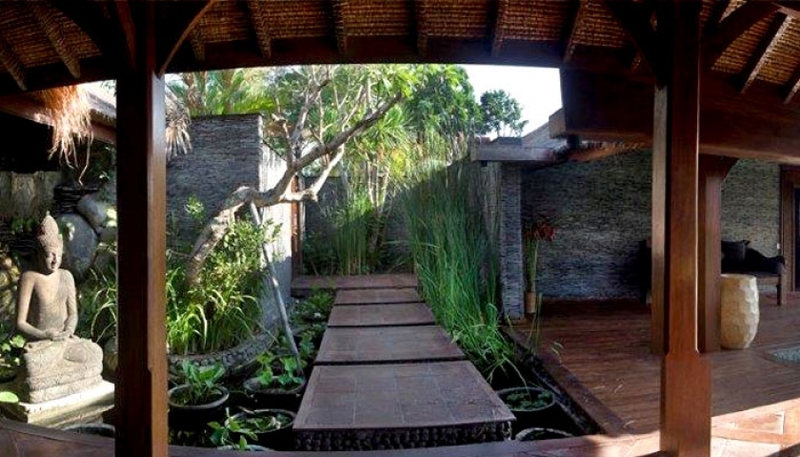 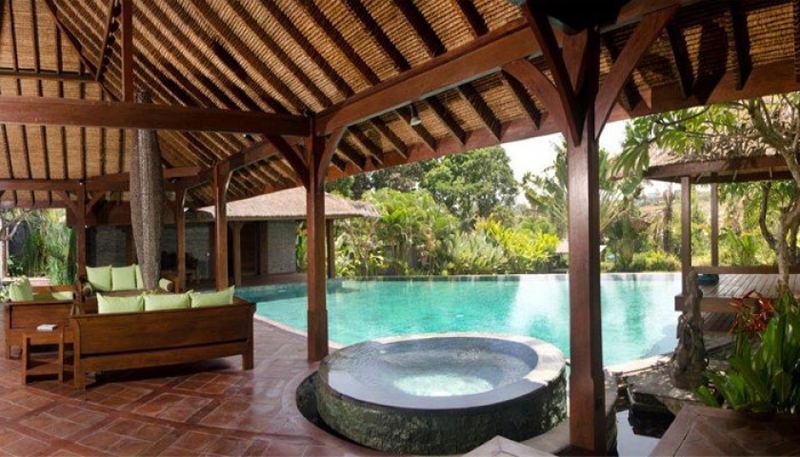 Beautiful and spacious tropical villa made by wood with style roof alang-alang (thatched Balinese). 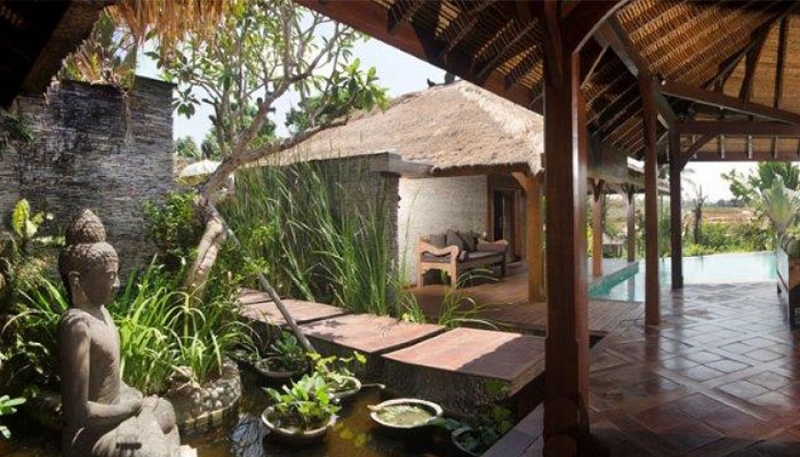 Located in Canggu, the new resort of Bali between beach, rice fields and Balinese village just 10 minutes from the busy of Seminyak. 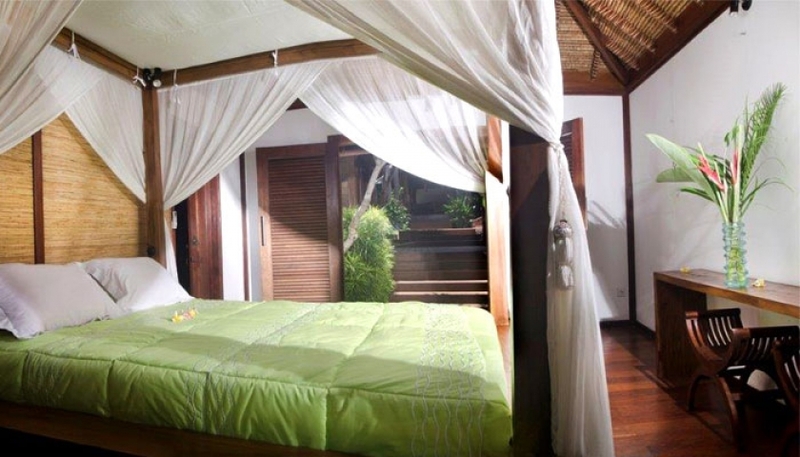 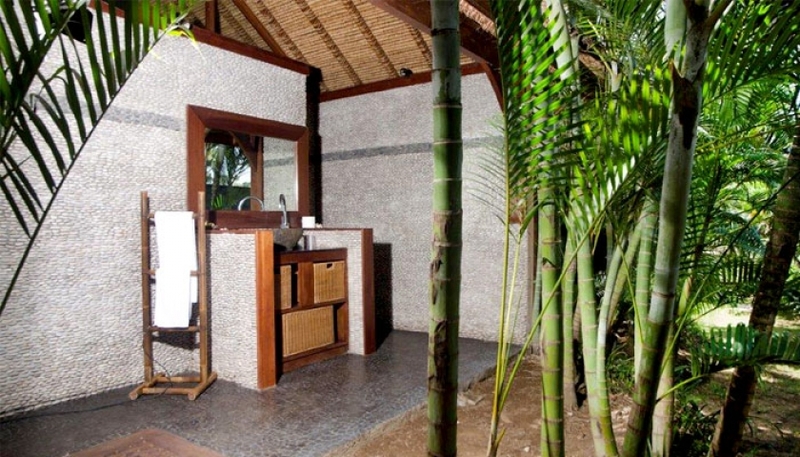 Villa has five bedroom en suite also staff area. 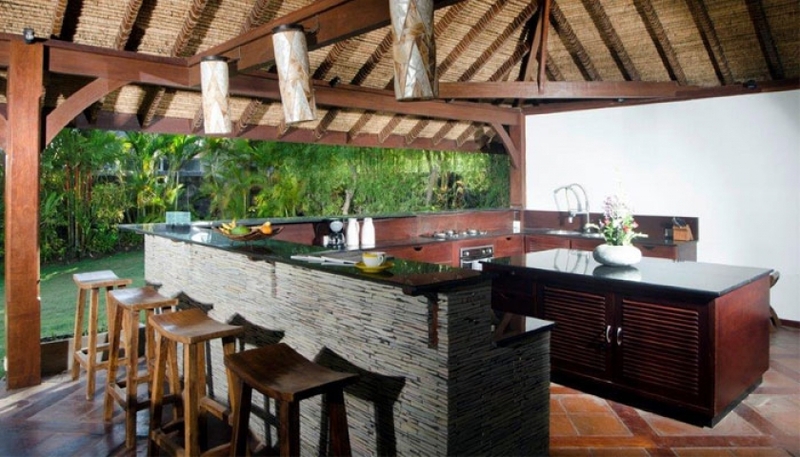 Spacious living just facing into the pool, separate dining area with fully equipment kitchen and a bar. 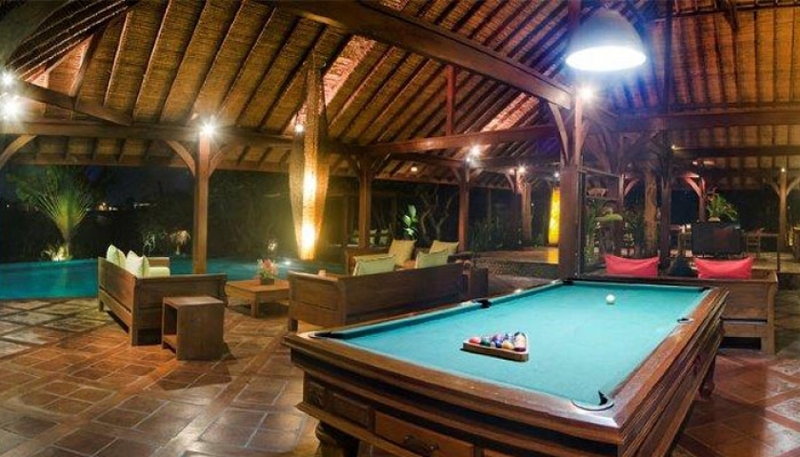 Pool table just behind the sofa in the living area. 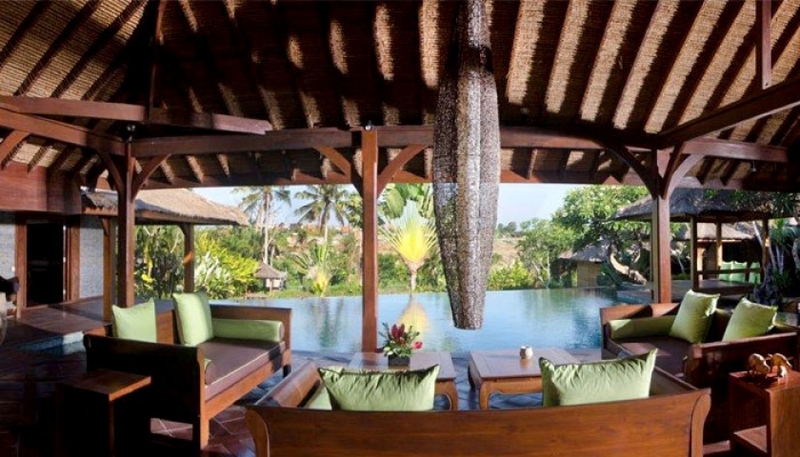 A bale sit on the pool deck. 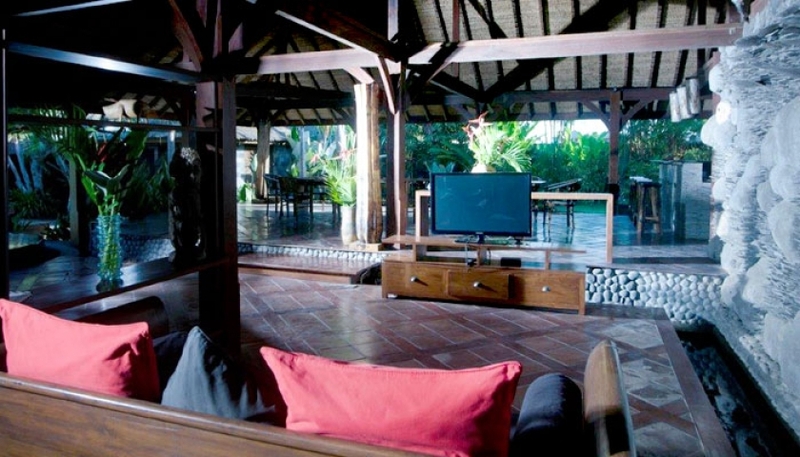 And relaxing in the swimming 200 m2 pool to view beautiful tropical garden. 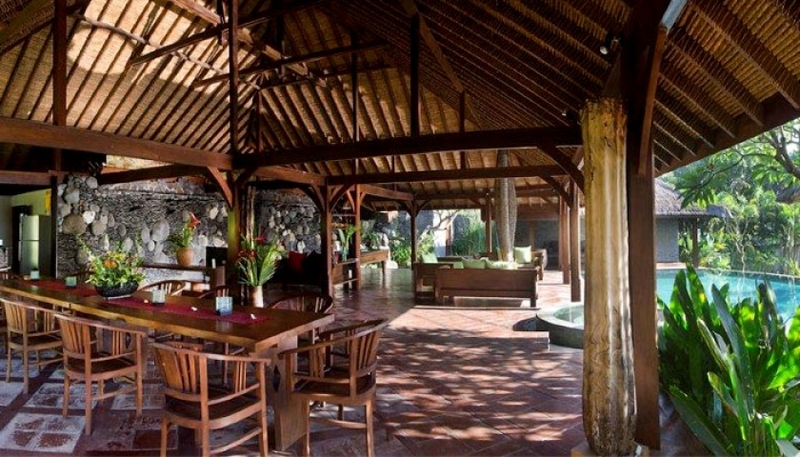 Villa was built in 2012. 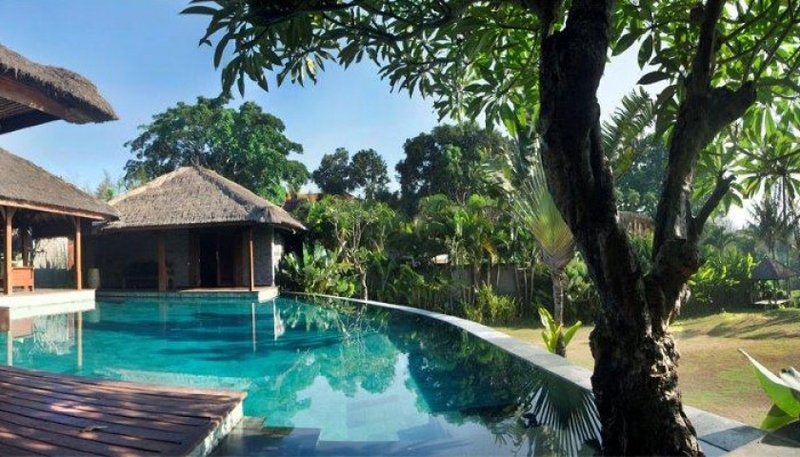 Price Leasehold in € 490.000.